The only locally organised street party led by young people to celebrate our diverse and rich cultures here in Ballarat is BACK! Rock the Block Culture Fest 2019 is gonna be bigger and better than ever with killer live music provided by a melting pot of local legends and Melbourne royalty TO BE ANNOUNCED SOON. The event is open and FREE to everyone of ALL AGES, backgrounds and cultures! To acknowledge the land we will be meeting on, we will be kicking the day off with a Welcome to Country and Smoking Ceremony performed by local Wadawurrung elders, followed by traditional Aboriginal dancing. Not to mention we’ll be bringing you the infamous rock climbing wall, food vans from various worldly cuisines – including home made Afghan Chai Khana, giant lawn games for every age, circus performers, henna tattoos, face painting, cultural arts and crafts, painting of a mural throughout the day, a chill out zone and much, much more. We acknowledge that this event is being held on the land of the Wadawurrung people of the Kulin Nation. We pay our respects to their elders, past present and emerging. We would also like to acknowledge sovereignty has never been ceded. 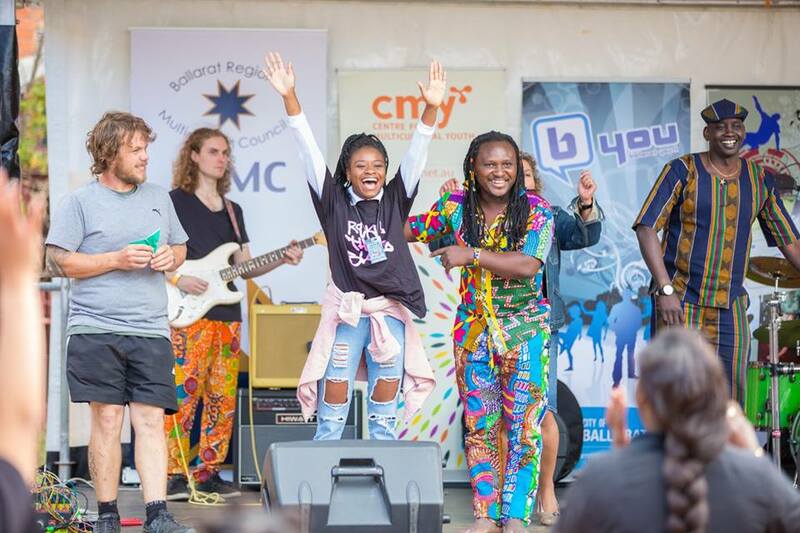 Rock the Block is proudly presented by B’You Ballarat, Ballarat Council, Centre for Multicultural Youth (CMY), Federation University Australia, and supported by community partners headspace Ballarat, Bank of Melbourne, Ballarat Regional Multicultural Council, Evolve partners and BADAC.